Oh smoking, that deadly pleasure many people are addicted to. Everyone talks about the threats that a cigarette can possess to your health, and about the thousands of chemicals found in the tobacco smoke. But did you know that when you inhale and exhale that cigarette you’re not only harming yourself but you’re also putting at risk your children’s health too? The smoke that comes out of it travels through walls, hallways, and ventilation systems, exposing your children to the same health threats as a smoker. 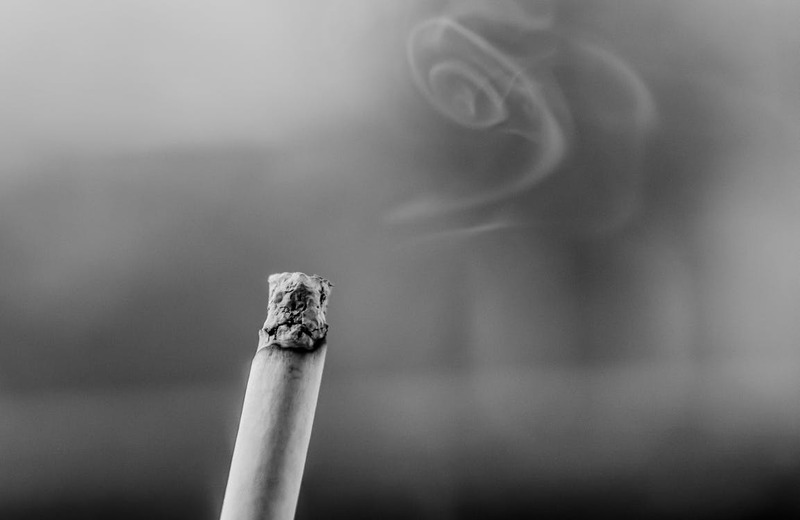 As a non smoker it's such a hard pill to swallow knowing my children are quite often exposed to others cigarette smoke, we experience it almost daily - having to walk through a plume of stinky stuff, I've strode through it outside hospitals when carrying my newborn, when trying to enter supermarkets with my children in a trolley or simply walking behind someone and being met with a huge slap in the face of smoke. It's something I'm really, really against and I know sometimes I should probably hide my disgust a little better, but I just can't help it. My tolerance level is incredibly low, especially when people are knowingly exposing their children to it. When a non-smoker is around a smoker they breathe in second-hand smoke, which is a combination of the smoke that comes out of a cigarette and the smoke breathed out by the smoker. It contains around 4,000 chemicals, from which over 50 are known to cause cancer. Second-hand smoke is highly harmful to children as their lungs are still developing and can’t cope with the exposure to those chemicals. But smoking in open spaces won’t be enough, as the toxins could still harm them. Which leads us to our next point. 2. Third-hand smoke Trying to get rid of the second-hand smoke by smoking outdoors or opening a window when smoking in closed space, won’t be the solution for protecting your kids. Even if you only smoke outside your home, the tiny particles found in the tobacco smoke could still be harming your children’s health. Third-hand smoke is the smoke that has been left behind. It’s full of harmful toxins. These particles adhere themselves to your hair and clothes, walls and even your child’s hair if someone smokes nearby. When you come into contact with your children after having a cigarette, they will also come into contact with the toxins from the smoke. Babies and small children are at greater risk of exposure to third-hand smoke, as they explore the world through their fingers and mouth, touching and eating everything, even from a contaminated surface with tobacco smoke. Third-hand smoke can remain in a room for several days after someone has smoked there. So opening a window is not the answer. 3. Passive smoking Smoking with your children close by poses serious threats to their health. Despite their age, children of smokers have higher rates of lung infections like chronic bronchitis or pneumonia. They’re also at risk of developing wheeze illnesses and ear infection, as well as having a low lung function – they can’t inhale and exhale deeply like same age children of non-smoker parents. 4. Increase probability that they might become smokers too Smoking around your children is not only dangerous for their health, but it also sets a bad example for them. Parental behaviour towards smoking, regardless of their attitude towards it, will likely make them thought of this practice as normal. Parental influence is more consistent than influence from friends. Which will double the chances that they might take up smoking between the ages of 13 to 21. But you can try to avoid it by quitting smoking. I don't think I could ever live with myself if I knew I'd passed something like that on to my children, I know a lot of people who smoke but would hate for their little ones to take up the habit - however, we lead by example don't we? 5. Increase children’s risk of suffering an asthma attack Because babies and toddlers take more smoke into their lungs than adults, they are more likely to develop asthma as they get older. Children that have been already diagnosed with asthma are at greater risk of having an asthma attack or triggering asthma symptoms when exposed to second-hand smoking. In order to protect your children from these hazards, don’t allow anyone to smoke in your home or near it. Quitting smoking is the only way to guarantee that your children won’t be exposed to these harmful toxins. It can be a difficult process, but there are many ways in which you can overcome it. For example you can reduce your nicotine cravings by replacing your cigarettes with a vaping kit. This flavoured solution offers smokers a smooth transition for quitting smoking. It might sound like an odd way to quit, replacing cigarettes with different cigarettes but studies have shown that Vaping has helped almost 20,000 people quit smoking. If you want to go another route, then wearing nicotine patches can also help with your cravings. However, smokers will know that it’s not just the nicotine you need to get out of your system, it is also the habit of smoking, my Nan for example, a lifelong smoker who really, really struggles giving up, she has to be doing something with her hands so for her it's playing on the ipad or a games console. For many it can be taking up another hobby such as knitting. Stop smoking will not only benefit you, but it will also improve your children’s health and wellbeing. I'd like to hear your thoughts on this topic, do you smoke and what are your thoughts on using Vaping to help people quit? Do you think smoking around children is a big no-no, or are you more relaxed on the matter?